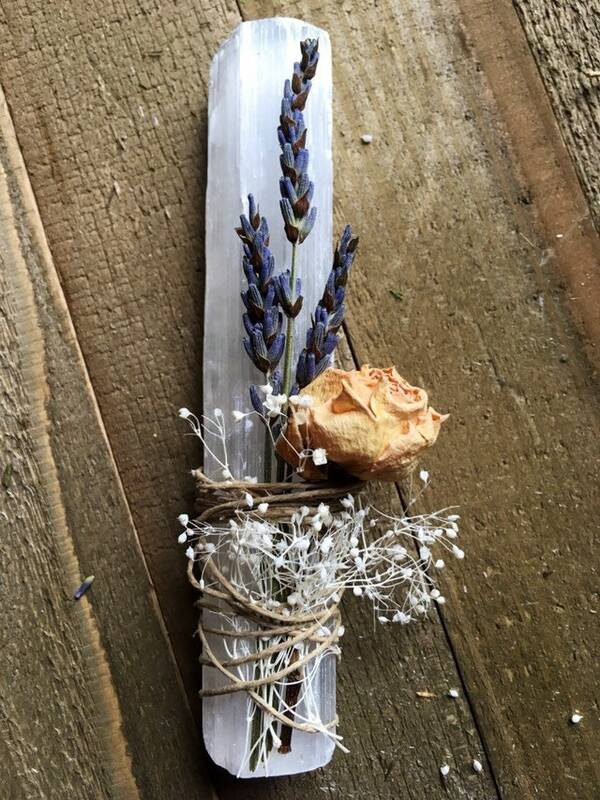 This listing is for one Selenite wand. 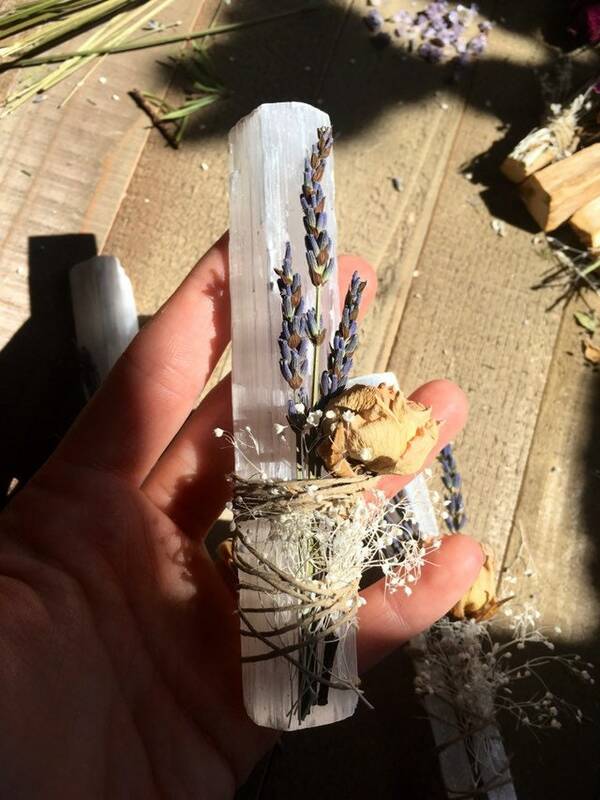 Each Selenite wand is 4-6inches. 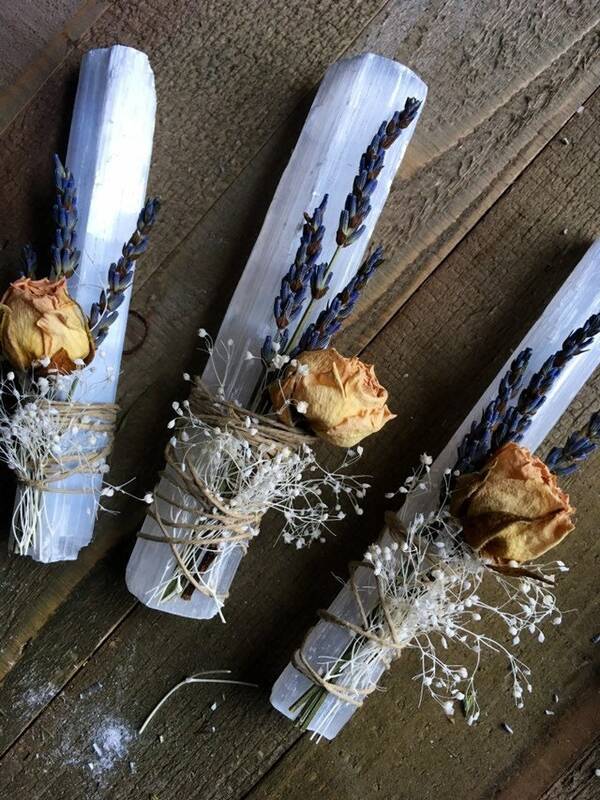 Each one is hand wrapped, using hemp, with dried Lavender, yellow Roses, and Stardust Gypsum. Selenite is an amazing crystal to have in ones collection because it never needs to be charged. Selenite has a white light energy and is used in meditation frequently because of is calming and peaceful energy. Lavender is used most common in aromatherapy due to the calming effect it provides. It also helps release stress and anxiety. The beautiful yellow Rose not only brings warmth to the soul, but it represents joy and friendship. Stardust Gypsum symbolizes an everlasting love between 2 people.